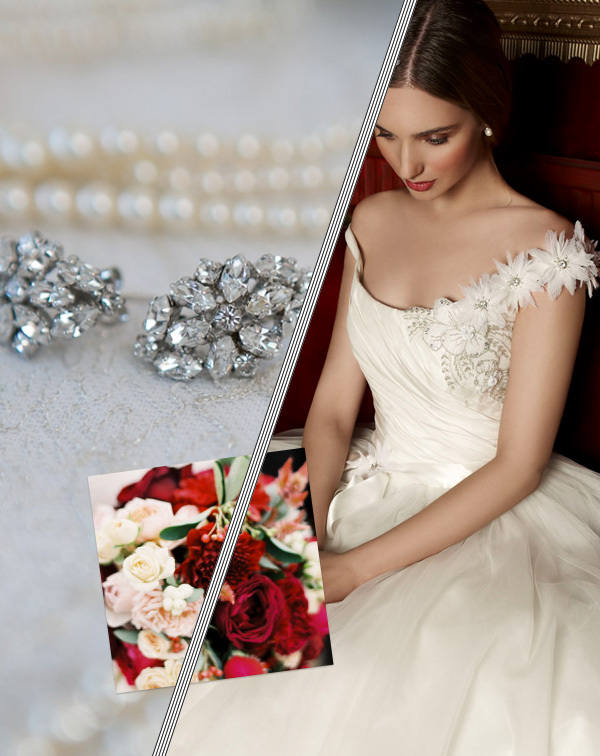 Eye wateringly glorious 30s style wedding gown – Deco from Suzanne Neville. 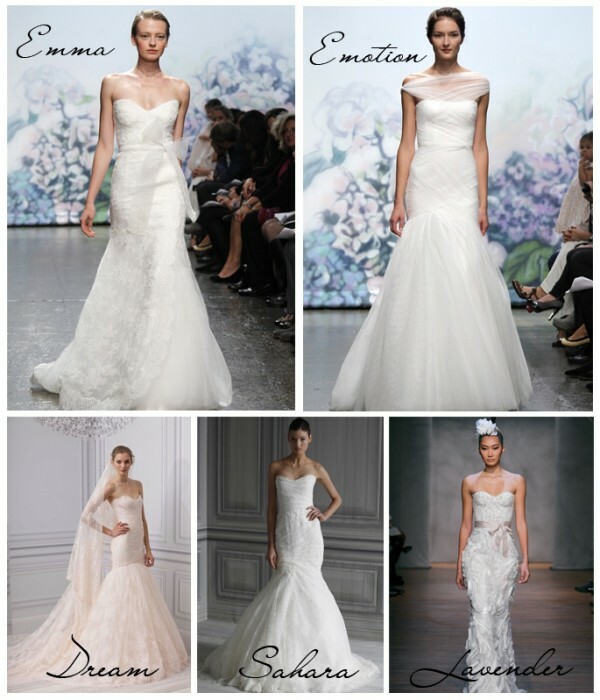 Vera Wang’s 2012 Spring collection is notable not only for the fact that the wedding dresses are beautiful (well there’s a surprise – ha! ), but also because they’re colourful. 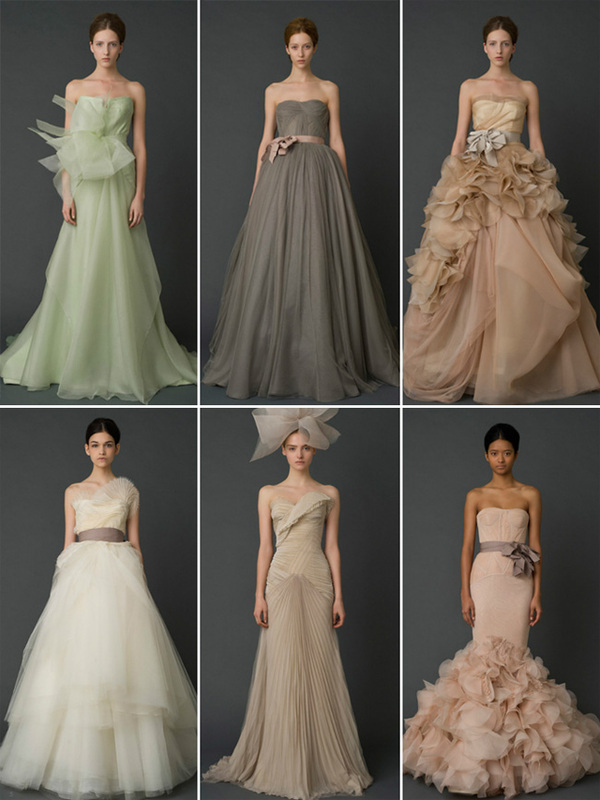 Colour has been a flirtation in past Vera Wang collections, but this collection is a full blown affair. Beautiful, non? The Vera Wang Fall 2012 Collection is a much moodier matter altogether – titled ‘Witchcraft’, there is not a white dress in sight. As an ardent admirer of anything Vera Wang, I’m somewhat predictably enamoured, but can imagine it’s not to everyone’s taste. I do love the wintery feeling in the Fall collection which contrasts with the more cheery, lighter tones of the Spring collection. 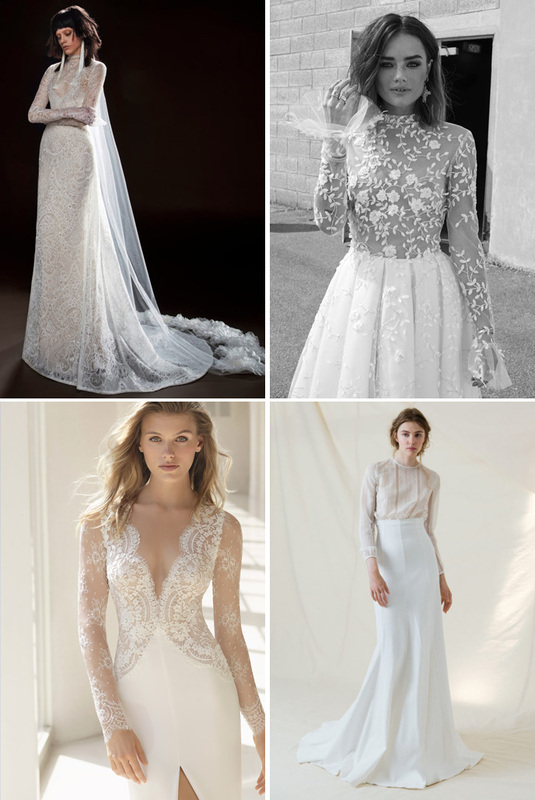 Vera Wang is a heavily influential figure in the wedding industry so I wouldn’t be at all surprised to see brides venturing away from white and ivory. 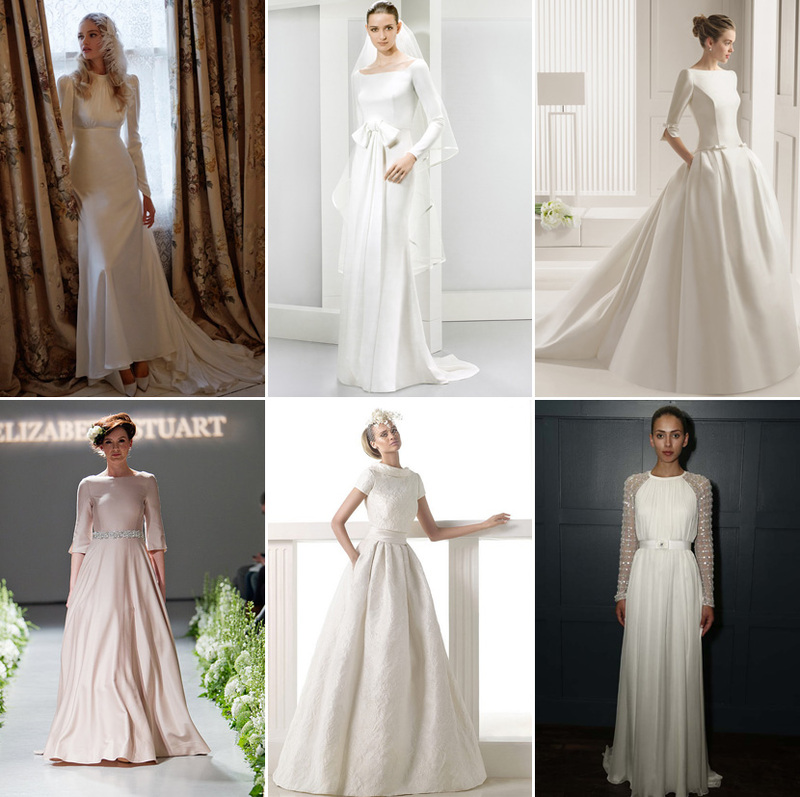 So, would you wear a black wedding dress? ?